Kim Clement on Sept 17, 2005: "Osama Bin Laden [has been] Laughing in His Cave . . . But Now The Ground Will Shake in the Middle East . . . TERRIBLY AS NEVER BEFORE . . .AS A SIGN!" "Osama Bin Laden [has been] Laughing in His Cave . . . But Now The Ground Will Shake in the Middle East . . . TERRIBLY AS NEVER BEFORE . . .AS A SIGN!" Especially for newer readers of the ELIJAH LIST, you'll discover that Kim Clement is not only one of the most accurate prophets we publish on THE ELIJAH LIST but also that many of the things Kim prophecies are in riddle form. Many of the things that are prophesied simply cannot be fully understood until they come to pass. Also, with the way prophecy works, the prophet himself (or herself) often does not fully know what the outcome of the prophecy will be until it happens. 2) the writer of the prophetic word. This frustrates many people within the modern-day prophetic movement. But the problem is, this is as it's always been. Many prophecies in the Old Testament took well over 1,000 years to come to pass, and only THEN could the reader understand what the prophecies actually meant. Such is the case with most Messianic prophecies -- and all the others too! Keep that in mind as you read this Word by Kim Clement, given on September 17, 2005, publicly while in Detroit, MI, long before the great earthquake in the middle east. We need to be in great prayer for the victims of that earthquake, and we need to send monetary support for the innocents who are survivors. But we must simultaneously be aware that God may have taken care of some important business where Bin Laden MIGHT have been hiding out. At least it's a possibility. "It is time for Babylon the weak to be ultimately destroyed. Babylon the great has fallen, but Babylon the weak is buried. It's time for Me to open up the graves from beneath the ground. For they have looked upon the Western nation, and they have said, god, Allah is punishing America, but He is not. There is no Allah, no Kabala. "America is being purged to be strengthened. Would a father not chastise his child? You have been chastised. But I will move through to the Middle East, and God said I will rise above and I will reign from beneath up. I will push death to the surface and shake the earth says the Spirit of the Lord. And this shall not be known as a purging but a judgment that comes form the Lord Himself. God will not allow the enemy to mock the people who have chosen to call My name out loud." "The wind came to America. The next sign that shall come, says the Spirit of the Lord, will be the sign of fire. Do not forget the three manifestations that came before Elijah before the still small voice came to him. Do not forget the manifestations that came to Elijah when he stood before the Lord, and Jezebel had uttered her voice. "He stood before the Lord, and suddenly there was a great wind. And it came, but it was God. But He was not in the wind. God manifested in the wind, but He was not in the wind. God is in charge of the elements; God is in charge of everything in life. But yet He may not be in it. But He may have allowed it to be the manifestation to catch your attention. It may have been the manifestation to catch your attention coming from God, but He was not in it. He cannot take the blame for it. Mankind causes the problems by his will; you reap what you sow. Then there was a great fire; God was not in the fire. "Then there was a shaking in the earth. God was not in it, but God manifested it. Three great manifestations that this Nation shall feel, shall understand, and shall know. And this shall be a sign, and I will catch the attention of hundreds of millions of human beings, especially in this Nation. This nation did not pray when fire struck at 9/11 and towers were brought down. Oh they prayed for a while, and there was a slight political revival. But surely there was nothing that shook this country spiritually. It died a few months later, and people forgot it because they were immune to television, because they had seen it so many times. "And God said the fire came, and they did not repent. And there was not a great move of My Spirit. Now the wind has come, and God said, 'What shall My people do? Shall they curse the God of the universe? Will they say "God has done evil to us,"?' God said no, there are those that will say those words. But division will be brought to the surface. That which has brought divisiveness in this Nation is being brought to the surface. And God said, 'Politically, I will shake this Nation. I will show them there is no one else's voice that matters, but the voice of the Lord.'" "And God says, 'I have watched, and I have said that they are laughing at a Nation that I am purging.' But now the ground shall shake in the Middle East. In the east it shall shake terribly, as never before, where bodies shall come forth from the ground. And God said, 'Take this as a sign; this is the final thing.' For even after the shaking, America shall be effected by it. Listen, after that then the still small voice shall come, and the prophetic anointing shall be move from one fold to a hundred fold, and a double portion shall be raised upon the children of the prophets." "This Nation has opened its legs. And God said the Jezebel spirit shall be destroyed by what I do. For there shall be a tragic death that shall shake the White House; this is not the President of the United States but a tragic death. But it shall be right. Then I will join hands and join forces with a King, (I'm not talking about the President of the United States right now) within the political arena, and I will give a double portion. And the spirit of Elisha shall join forces. The King and the prophet shall join forces, and as a result of it, I will bring the power of Jezebel down out of America. "There shall not be a woman President yet. For God said the day will come, but this is not the time. The spirit of Jezebel is not in a woman; it is a force that has controlled this Nation called religion. What has it done? It has killed the prophets of the Most High God. But God said no more, you cannot stop them. They are being born for business -- born for politics, born for preaching, born for the media, and born for entertainment to take every industry and to rush like a mighty rushing wind. "Gatekeepers of America, do not whore. Gatekeepers of America, do not take ecclesiastical favors and expect me to smile. God said you spend time with the One and only God, and gatekeepers, you will take the cities. But if you would whore and act the prostitute, and you would say we will sleep with the enemy, God help you. For you have taken the daughter of Ahab, and you have increased her power. This shall not happen. For the prophets shall no longer be in hiding; for I will raise them up. For they shall speak to Presidents, and they shall speak to Kings. They shall be the evangelists to the Middle Eastern people." "In this Nation a prophetic sound shall come, and as a result of it, you will not need the oil of the Middle East. There is a new energy that is coming forth. The prophet knows it as the Big "E" but knows nothing else. A new form of energy is coming forth. America is pioneering it, and it shall take you from a trillion dollar deficit to no deficit whatsoever within a six-year period says the Spirit of God. And the Middle East shall say you still need oil. But America shall say no longer from you, for O Israel, O Israel what is hidden shall be revealed says the Lord. America rejoice for this is your day, says the Lord. "Gatekeepers of America do not play the game. Do not take ecclesiastical favors. Do not call the prophet villains. Do not look at them and say 'hands up,' for there is no bullet in your gun. God said you are speaking and uttering and spluttering, gatekeepers of America. Not all of them of course, but there are many gatekeepers that are spluttering curses to the David's that are hidden in the caves, speaking evil of those who fall on their knees and cry to the Lord for hours. How dare you? Who made you King, and who made you Lord? "Gatekeepers of America, you shall be accountable. If you do not listen, I will take a child and replace you with a child. For did I not do that when I took Samuel and put him right in the midst of corruption? Did I do it to a King who was only a few years old, and he became the King of Israel? God said, listen, if you don't cry out, the rocks will cry out. If you don't praise me the way I'm supposed to be praised in the cities of America, I will remove you, and I will raise up the rocks to make a joyful noise and to proclaim my power, says the Holy One. "This is a message that America must hear. I hold the gatekeepers accountable. Who are the gatekeepers? Pastors, evangelists, prophets teachers, elders, deacons, healers and workers of miracles, gifts of faith, the great interpreters of the language of the Spirit [are the gatekeepers]. God said all of you are accountable. Do not allow divisiveness, for the prayer of my son Jesus is about to come to pass. John 17 [verse 21], I pray O Father that they may be one as we are one, that the world may know who you are. "I am a jealous God. If the world does not know who I am because of the misrepresentation, then I will remove those voices and I will raise up children to pray that prayer and to bring it to pass. The spirit of unity shall come back, and the word united shall be the foremost word in the States of America, says the Spirit of the living God." Do you struggle to see the future when things start going wrong? Do you immediately worry when your natural circumstances tell you danger is surrounding you? In this series, you will learn how to quickly recognize the difference in seeing with your natural eyes and seeing with Insight & Foresight, the eyes of your spirit. When a person can learn to see prophetically and act in reference to the future, they will become dangerous to the powers of darkness. Get this series and you'll no longer struggle to identify what's really going on in your life. You'll be able to "see" the way God intended. Kim Clement was born September 30, 1956, in South Africa, a nation divided by apartheid. In 1978, Kim married Jane Elizabeth Barnes in Durban, South Africa, and they now have 5 children. In 1991, Kim moved with his family to the USA. Kim began "The Warriors of the New Millennium," an outreach to wounded people within the City of Detroit, Michigan, which has now also spread widely throughout the USA. 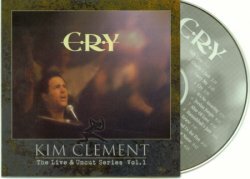 Kim's prophetic ministry reaches countless people as he travels around the world to reveal the heartbeat of God in tragedy and triumph, good times and bad, war and peace, in democratic or theocratic circles, crossing all cultural barriers by communicating God's feelings for them. Kim's gatherings are full of intense energy and beautiful, spontaneous music. He creates a moment of communion and evocation that breaks down barriers of cynicism and doubt and thrusts the hearer into the reality of their destiny. 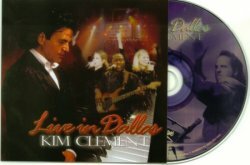 Feel the passion and the energy, as Kim Clement and his team together translate the sound of heaven through spontaneous music, song, and prophecy in a special weekend that was recorded Live in Dallas, TX. "Somebody once observed that the prophets' style of ministry may be considered respectively: 'The manic; psychotic articulation of the Word of God; as for calm, sane, moderate visions of prophecy - there are none'. Truly, what we are doing on the platform under the inspiration of the Spirit is a medley of surprises - an adventure. On this album, every song was dramatically performed under the pressure of the Spirit, created on the spur of the moment. The 'pathos' being the only source of supply through the skillful gifts of Charlie, Steve, Hannah, Miranda, myself and other guest artists. These live and uncut moments are truly what our gatherings are made up of. Prophetic pronouncements, and then the cry of God's Heart. In one song, 'I'm crying for India, would you cry with me?' and in another, 'The only time I cried was when I had to turn my back on my only begotten Son, when He needed me most', we were hearing God's heart and His innermost feelings. Surely this is what 'communion' or 'koinania' is all about. Support The Elijah List by Shopping Online! Refer Your Friends so they can save money and support The Elijah List also!